Start/Finish Point: Access for this wood is from the Wood End car park. 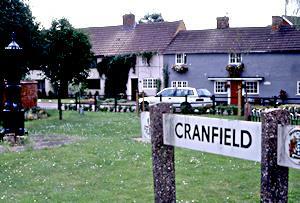 It can also be reached by a footpath from Cranfield. Start Nat GR SP 972412. How to get there by car/ parking: Marston Thrift is situated at Marston Moretaine Wood End, which is off the A421, approximately 4 miles north-east of junction 13 of the M1. There is a car park at Marston Moretaine Wood End.